I know there are people out there who knock down New Jersey. And I’ll assume that those people have never been here…because if they were, they’d know for sure that it’s pretty awesome. The “what exit are you?” jokes, along with the filth/smog/pollution comments, represent a very small part of the state…the part where you’re driving a straight line and don’t veer off the highway to explore what it’s REALLY all about. The fact that I live just a few miles outside of the greatest city in the world is priceless, without a doubt. You also have our beautiful beaches and mountains, as well as our farms…farms that produce delicious things like corn, tomatoes and blueberries. Matter of fact, did you know that the “blueberry capital of the world” is right here in NJ? My parents were in that capital recently (otherwise known as Hammonton) and brought me an insane amount of blueberries. I happily stored them in my freezer, waiting for the right recipes to jump out at me. I found this easy recipe (yep, I used boxed cake mix!) and got rave reviews from my family at a party I brought them to. They can be thrown together in about 15 minutes, and you probably have most of the ingredients right now! 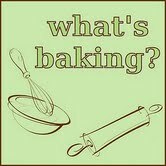 Jaida from Sweet Beginnings is our What’s Baking? host for July, and challenged us to bake with summer fruits, so this is my submission. 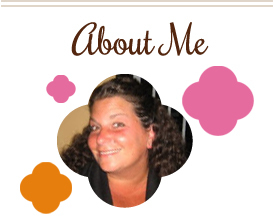 Check out her blog at the end of the month for a round-up of what I’m sure will be lots of delicious baked goods! Oh, and one last thing…we aren’t all in the mafia. Trust me. Come visit soon! Preheat oven to 350 degrees. Line a 9×13 pan with foil (make sure it extends over sides). Mix butter, one egg and cake mix together until combined. Press 2/3 of mixture onto bottom of pan. Beat cream cheese and sugar together until well blended. Add remaining egg, zest and juice and mix well. Pour over crust, then top with berries. Pinch small pieces of remaining cake mix mixture between your fingers and sprinkle on top of berries. Bake 55-60 minutes or until toothpick comes out clean from center of pan. Cool completely. Use foil handles to lift out of pan before cutting into bars. Keep refrigerated until serving. This entry was posted in bars, berries, dessert, fruit, lemon, QuickAndEasy. Bookmark the permalink. Oh, yum! These are making my mouth water. . .amazing! Oh goodness, these are a perfect dessert for me. 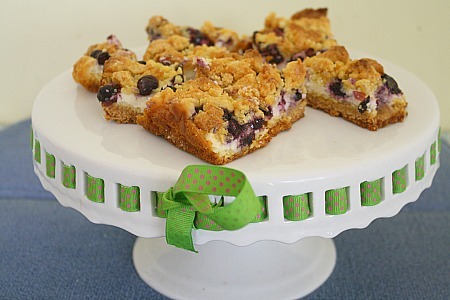 I absolutely love blueberries and the cream cheese puts these in a heavenly realm.